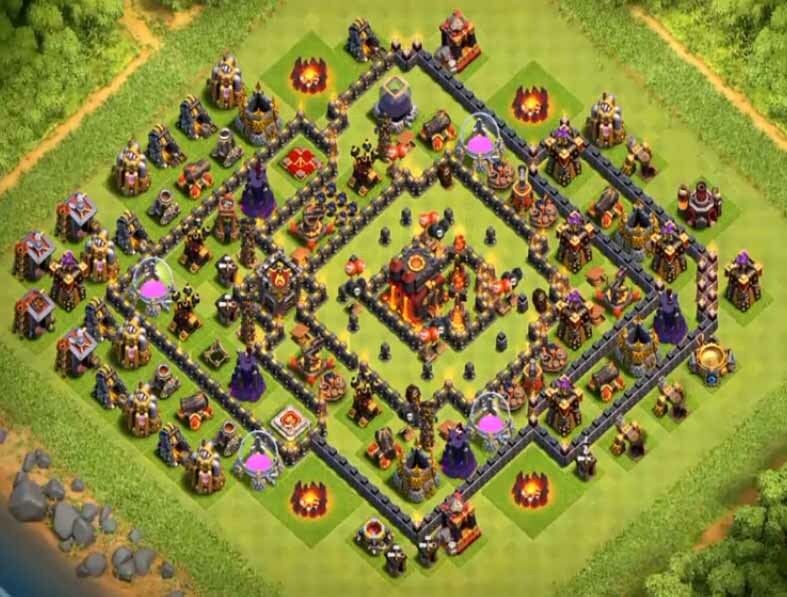 In this Post, we are going to look at best th10 trophy base layouts 2019 anti everything. 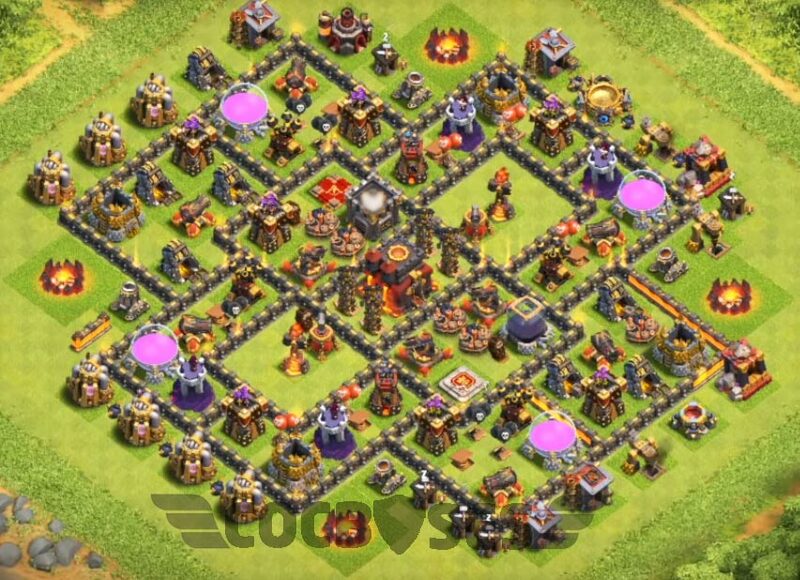 These are the latest coc town hall 1o trophy base designs with bomb tower included. These layouts can withstand various attacks such as anti bowlers, miners, valkyrie and giants. For best defence base for builder hall 7 visit here. 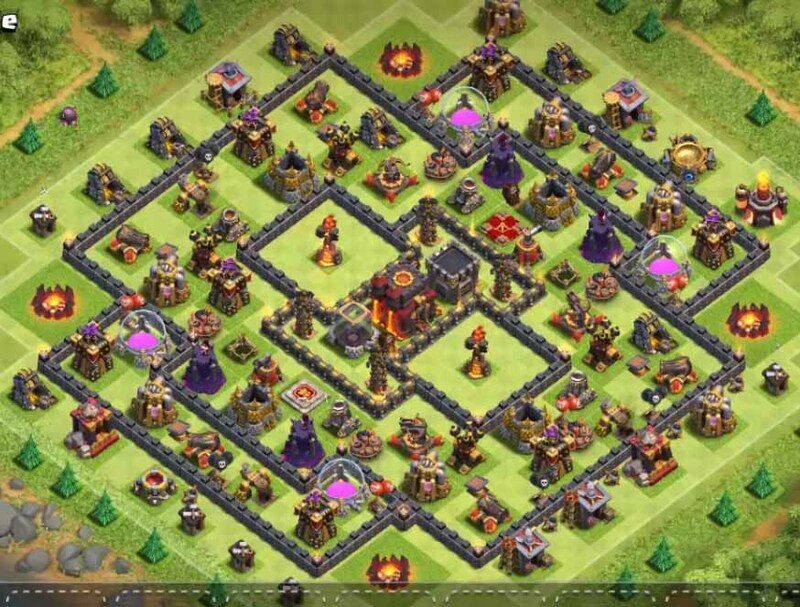 Note: Used only town hall 10 buildings. 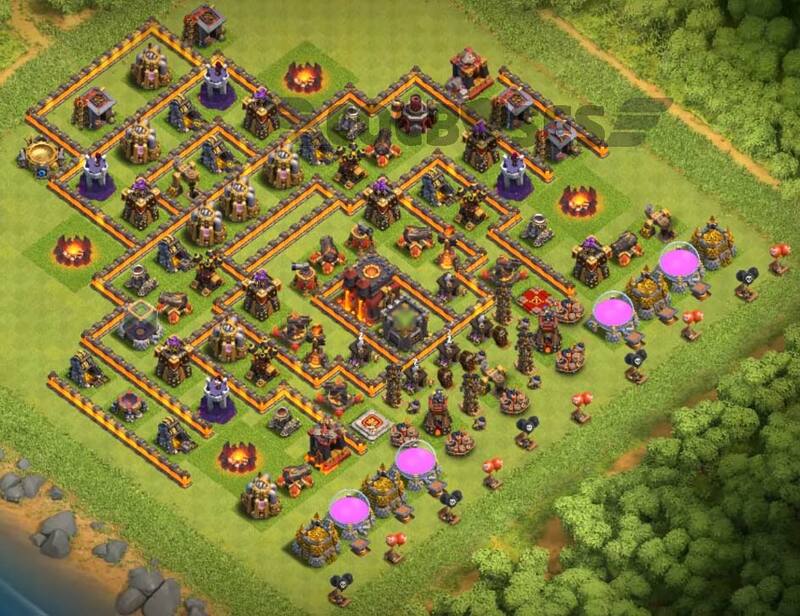 used th11 account for construction of some bases. 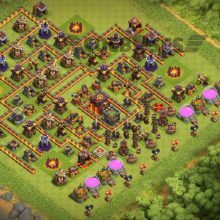 The first base design in the list of best th10 trophy base design is an troll base. 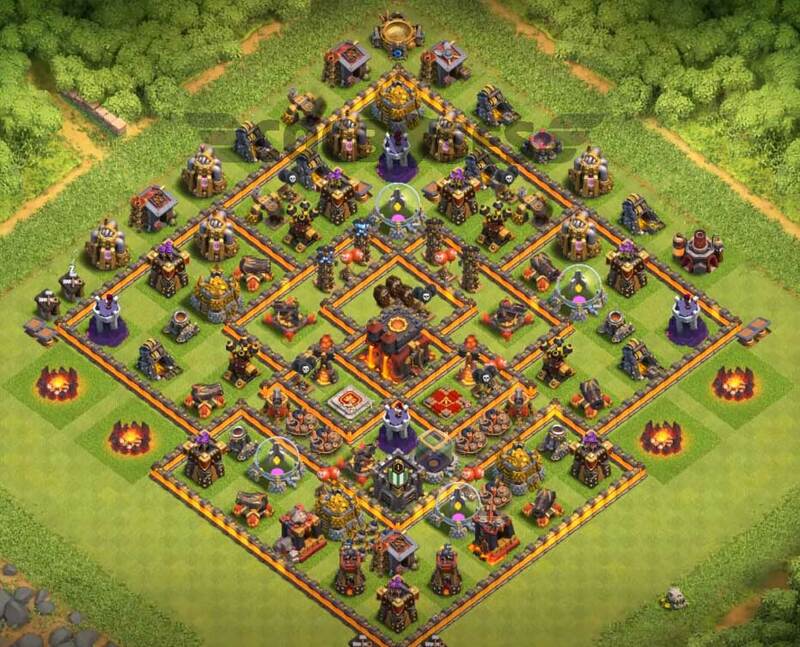 Don’t ever bother to protect loot because its an level 10 trophy base. All the storage’s are kept in front of the strong defensive buildings and other side it is protected by many cross section of walls. 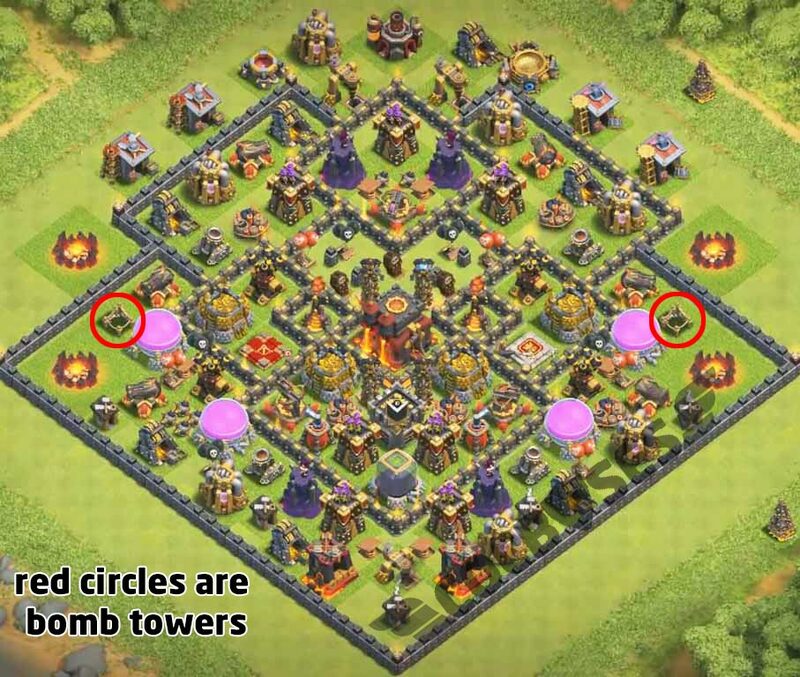 In the below 4 base designs, the buildings which are not yet constructed are bomb towers. The trophy bases are designed in such a way that trophies are saved in multi player battle. so that one can push them into further (champion, masters, titan) leagues easily.these designs are having defensive structures evenly distributed around the base. whereas town hall is centered mostly in all the layouts.the inferno towers and x-bows are placed right in the central core compartment to over come the enemy troops seamlessly. 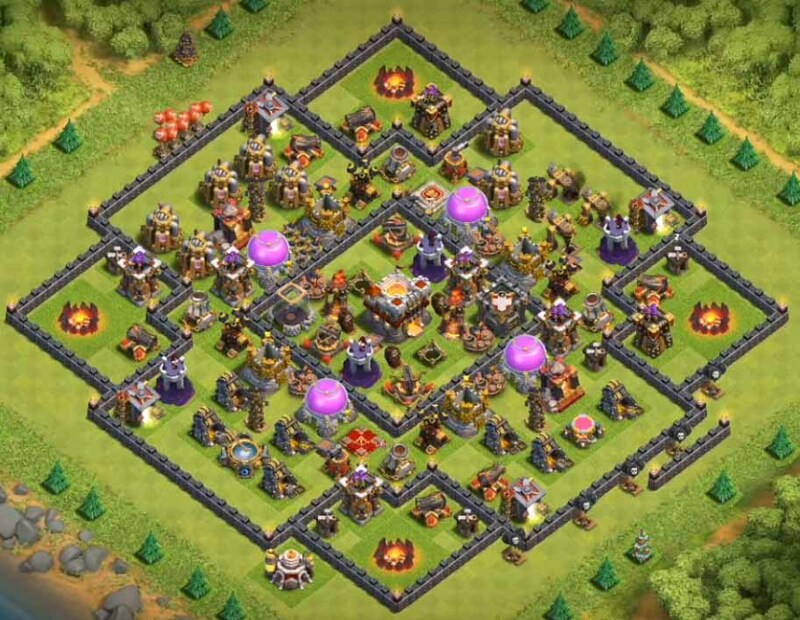 if you have any queries you can you use the comment section below provided and also if you got any good town hall 110 war, farming and hybrid bases you can reach us by commenting below. 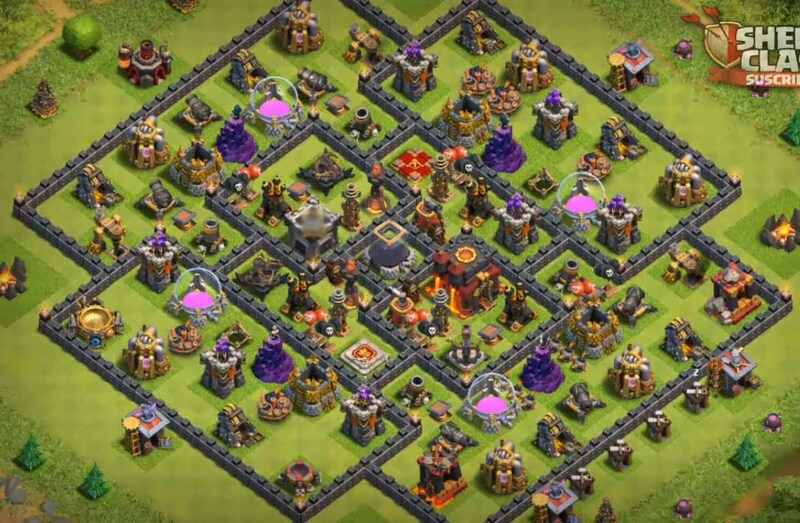 As usual we are up with another funny video related to town hall 10 hope you will like it .